The latest Pokémon Sun and Moon trailer features a rather unusual Pocket Monster, even by Pokémon standards, called “Type: Null.” There are already theories about what exactly is up with this Pokémon. Where to start? 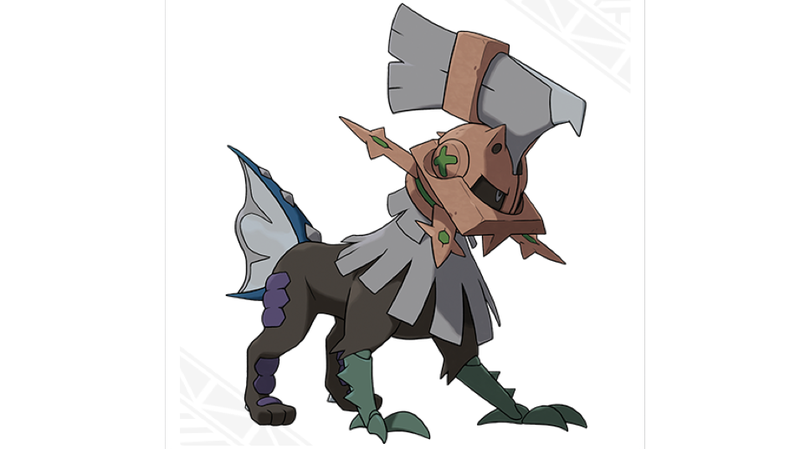 Type: Null is one odd name, there’s that medieval-looking thing it has going on, and it appears to be a chimera. This Pokémon wearing a mask has been dubbed “Null,” meaning nothing. The shapes of its front and hind legs are clearly different. The reason is that Type: Null was constructed to synthesize the strengths of various Pokémon, enabling it to adapt to any situation. The mask fitted to Type: Null’s head is a piece of equipment designed to control its latent powers. It’s extremely heavy, so it also serves to hinder Type: Null’s agility.